Today’s post was written at my invitation by Paul Harvey, Professor of History and Presidential Teaching Scholar at the University of Colorado, Colorado Springs. 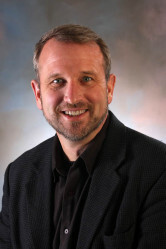 Among many other titles in the history of evangelical Protestantism in the American South, most recently he is the author most recently of Moses, Jesus, and the Trickster in the Evangelical South and the co-author with Edward J. Blum of The Color of Christ: The Son of God and the Saga of Race in America. Regular readers of Historiann may also recognize Paul as the creator of the blog Religion in American History. Paul lives just about a mile from the place where yet another deranged white man murdered three strangers last Saturday morning in Colorado Springs, Colorado. I’m so grateful to him for sharing his perspective as a neighbor and a fellow historian. It was a beautiful Saturday morning here on October 31st. Weekends in the Old North End of Colorado Springs are full of people walking about, garage sales, scores of bicyclists and joggers, 20somethings tapping away on their smartphones in recently opened hipster coffee places, evangelicals gathering for para-church activities, and me – grading papers, writing, reading the book for next week’s class, or whatever (all three, this particular weekend). There seemed to be an inordinate number of sirens this particular morning, but I do live by a firehouse and near a hospital, and sometimes you get that. I settled back into some coursework. But on this particular beautiful Saturday morning, yet another troubled white man – the same one we’ve seen all over the country, shooting up people in college and grade-school classrooms, malls, chain restaurants, and theaters – walked down a street about a mile and a quarter south of my home (and about three blocks from the historic downtown high school – Palmer High, named for the founder of this city, William Jackson Palmer). He previously had left a bizarre video “expressing displeasure with his father for allegedly falling under the sway of a particular preacher.” His mother had published a book that was, in part, about her son (as well as about her own struggles), entitled Sober mercies: How love caught up with a Christian Drunk. Whatever his problems, it was still legal for him to walk around brandishing a heavy firearm. Actually, he had three – an AR-15 rifle, a 9 mm pistol and a .357 revolver. Besides, we’re libertarians on issues of personal rights. Guns, gay marriage, gangja – no problem. Well, you can’t actually brandish the ganja in public, but you can the guns, so there is that difference. Ganja is legal in your own home, to be kept private, because it is dangerous; guns keep us safe. A neighbor phoned in a 9-1-1 call and described the man, but was told he was within his legal rights. A few minutes later, he took his first victim, a 35-year old bicyclist who had survived three tours of duties in Iraq. Before long, two other women, sitting on the porch of a nearby sober living facility, had been shot. Policemen arrived, reportedly were fired upon, and they returned fire, killing the gunman. Another day of gun-related violence in America, this time just big enough to merit a spot of coverage on the national news, but too small to evince a presidential statement. Local leaders and politicians were sorry for the loss, their thoughts and prayers would be with them, and so on and on. Been there, heard that. As our usual ritual of gun-related massacres go, this one was pretty insignificant. The three types of weapons used by the man accused of killing 12 people in a Colorado movie theater — a semiautomatic variation of the military’s M-16 rifle, a pump-action 12-gauge shotgun and at least one .40-caliber semiautomatic pistol — are among the most popular guns available in the multibillion-dollar American firearms market. The weapons have become so common that a growing sport among gun enthusiasts is the “three-gun competition,” in which sharpshooters use a version of each of the weapons as they move from target set to target set, firing and reloading as rapidly as possible. He could have purchased those at one of the constant “gun show” exhibitions held numerous weekends throughout the year at an Expo Center that is about a mile from my university. The main problem there, on gun show weekends, is finding a parking space; the cavernous parking lot is never enough to house the cars, which overflow the lot and end up randomly situated on the grass along a main thoroughfare of the town. Cars lining up to enter the Expo area routinely slow down the traffic trying to drive home south from Costco runs. Following the Aurora massacre, Governor John Hickenlooper signed a series of very mild gun reform laws (such as limiting the capacity of high-powered ammunition magazines to no more than 15 rounds). The laws survived, but claimed two more victims: State Senators recalled for their vote in favor. One of them was my Senator, John Morse, a moderate Democrat with an admirable record of service to his constituents. During that campaign to oust him, solely for his vote on the gun measures, supporters of the recall littered my neighborhood with thousands of signs. Most were posted in places supposedly illegal for campaign detritus. Riding my bike one day, I picked one up and took it with me as I rode home; an angry crowd in a pickup (stereotypical, yes, but true story) followed me home, shouting threats. Like Governor Hickenlooper, I quickly learned to be quiet and save my energies for other matters. “No Way to Prevent This, Says Only Nation Where This Regularly Happens” – we’ve all seen the devastating headline from The Onion. Meanwhile, we double down on our mistakes when all evidence from so many other places demonstrate that simple measures (like those Australia took after a horrific incident there) have a hugely significant impact on reducing random gun-related violence. Not eliminating, of course not, but significantly curtailing. They might, or might not, have prevented this particular smaller incident in my city; they certainly would have reduced its likelihood, by many orders of magnitude. But we do exactly the opposite, and punish those who advocate common-sense, empirically tested measures. Devising a rational explanation for why that is so is difficult. The usual justification – the amount spent by the gun lobby in influencing political decisions – doesn’t really work, because the amount isn’t actually all that much, relatively speaking. For me, this is where religious explanations have to be invoked. This being Colorado Springs, I’m used to wing-nut politics; we’re ground central for that here. I normally shrug that off; every place has its issues. Sunshine, temperate weather, Pike’s Peak and Garden of the Gods forgive a lot of sins. This one is harder, because our ritual sacrifice to the god of the gun, our Moloch, took the life of someone squarely in the demographic of my student – the 35-year old returned veteran. My evening courses are full of them, and over the years I have come to a deep appreciation of the wisdom they have gained from their experiences. It’s difficult to express how much I have learned from them. I’ll never have that chance with Andrew Alan Myers, nor with the other victims. But we will all have another chance to pay obeisance to the God that we are all compelled, willingly or not, to worship. For all of the real dangers of encountering an armed person in my state, I remain unafraid. Fear is what drives the gun nuts and the Second Amendment absolutists, so I will remain proudly unafraid. ← Social media: an irritant as well as balm for most intellectual property problems? We say it every time, and it doesn’t make a difference. But the Marilynne Robinson piece is terrific. So true. I think that he may be right, though Paul didn’t say it just this way, that the illogic of religion is the only way to approach the illogic of mass murder. There are many books written about religion and terror, and some good people claim that religion is the only way to derive meaning from life. I am not one of those and, though I’ve tried, I’ve never been satisfied by the message that any religion. Perhaps in this increasingly STEM world, the “believer” feels himself bankrupt and lost, unable to compete technologically or materially and beset with ever-mounting proof that he is – a dinosaur. It’s impossible for me not to connect this event to Paris: cold-blooded murder committed against strangers because of a belief in the inevitability of Armageddon.